The XC90 was named 2016 North American Truck of the Year on Monday. DETROIT -- The Volvo XC90 will lure even more customers from rival premium brands in 2016, the automaker’s global sales and marketing chief, Bjoern Annwall, said. Last year the conquest rate for the XC90 in Europe was 39 percent while it was more than 50 percent in the U.S.
“We are confident that this rate will grow in 2016,” Annwall told Automotive News Europe at the auto show here. He gave three reasons Volvo is bullish about the XC90’s chances to exceed its conquests this year. Because of the goodwill built up for the car from satisfied customers who are already driving the new XC90. Because of the positive momentum created from the XC90 winning more than 50 awards, including being named the 2016 North American Truck of the Year on Monday. It is the second time the XC90 has taken the honor. The first generation of the SUV won the award in 2003. Because Volvo is just starting to deliver the first wave of its plug-in hybrid variant. 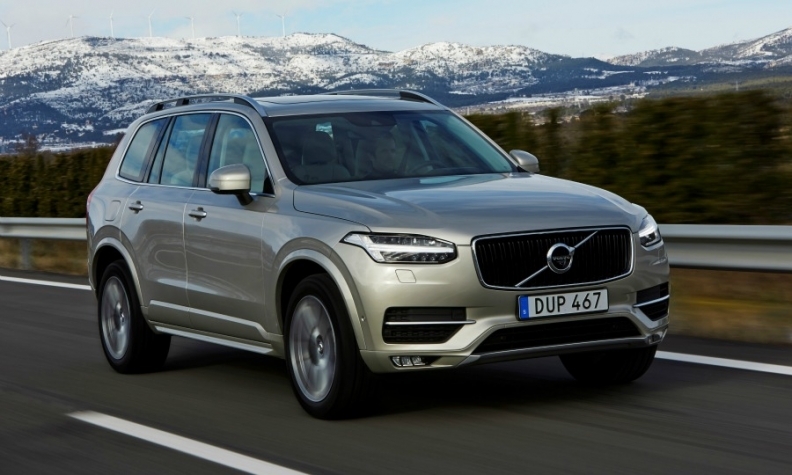 The XC90 T8 Twin Engine derivative is expected to be a strong seller because it uses as little as 2.1 liters of fuel per 100 kilometers while providing a combined 400 hp from its gasoline engine and electric motor. Volvo sold 40,621units of the new XC90 globally last year, well ahead of the 17,869 units Volvo sold of the previous-generation SUV in 2014. The XC90 played a key role in helping Volvo set a new record for global sales with a volume of 503,127.